Charles Re-visited, 2015, Black charcoal, soft pastel, oil pastel, paint stick, gouache on Coventry Vellum Paper, 56.25 x 44 inches, framed. Class of '92, 2015, Black charcoal, soft pastel, oil pastel, paint stick, gouache on Coventry Vellum paper, 40.25 x 44 inches, framed. Erica with the Pearl Earring, 2015, Black charcoal, gouache, soft pastel, oil pastel, oil paint, paint stick, silver oil pastel on Coventry Vellum Paper, 31 x 31.75 inches, framed. Junebug, 2015, Black charcoal, gouache, soft pastel, oil pastel, oil paint, paint stick, acrylic silver leaf on Coventry Vellum paper, 49 x 49 inches, framed. Buck Nasty: Player Haters Ball, 2017, Black charcoal, gouache, soft pastel, oil pastel, acrylic gold powder on Coventry Vellum Paper, 39.625 x 40 inches, framed. Uncles Dope, 2017, Black charcoal, gouache, soft pastel, oil pastel, and paint stick on Coventry Vellum paper, 29 x 22.5 inches, framed. Nathaniel Mary Quinn (b. Chicago, 1977) creates hybrid, fractured portraits on paper and linen using charcoal, gouache, pastel, paint stick, and oil paint. 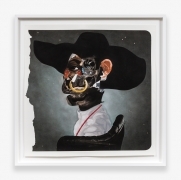 His works are replete with art historical references to Cubism, Surrealism, Francis Bacon, and others, yet his process is also very personal, drawing from his memories, experiences, traumas, and family history growing up in Chicago’s Robert Taylor housing project. 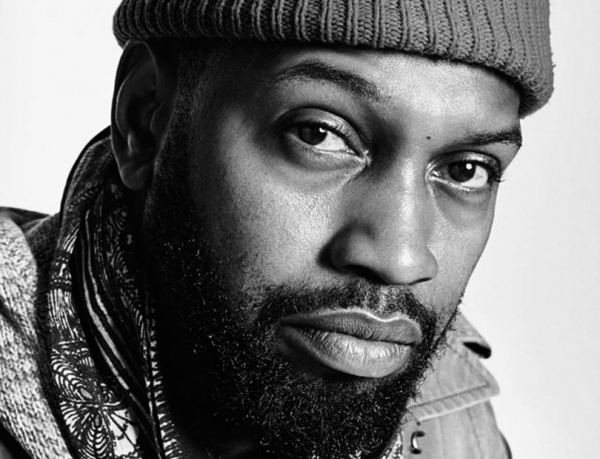 Nathaniel Mary Quinn balances the beautiful with the grotesque, the sinister with the benevolent, capturing the complexity of human emotion in a way that is individual and also representative of the human condition. 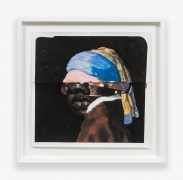 Nathaniel Mary Quinn has exhibited at galleries and institutions internationally. Recent solo exhibitions include Half Gallery, New York; Luce Gallery, Torino, Italy; M + B Gallery, Los Angeles; Rhona Hoffman Gallery, Chicago; Bunker 259 Gallery, Brooklyn; Pace Gallery, London, England; and the Museum of Contemporary African Diasporan Arts (MoCADA), Brooklyn, New York. 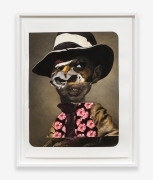 He has also been featured in the group exhibitions at Artist Space, New York; The Bronx Museum of Arts; Albertz Benda, New York; Satori Gallery, New York; Susan-Inglett Gallery, New York; and Driscoll Babcock Gallery, New York; and in A Process Series | Here He Come: Black Jesus, curated by Jessamyn Fiore, Rawson Projects, New York. His work has been reviewed in numerous publications, including the New York Times, The Independent (London), AFROPUNK, the Chicago Reader, The Daily News, The New York Times, Huffington Post, and Time Out New York. 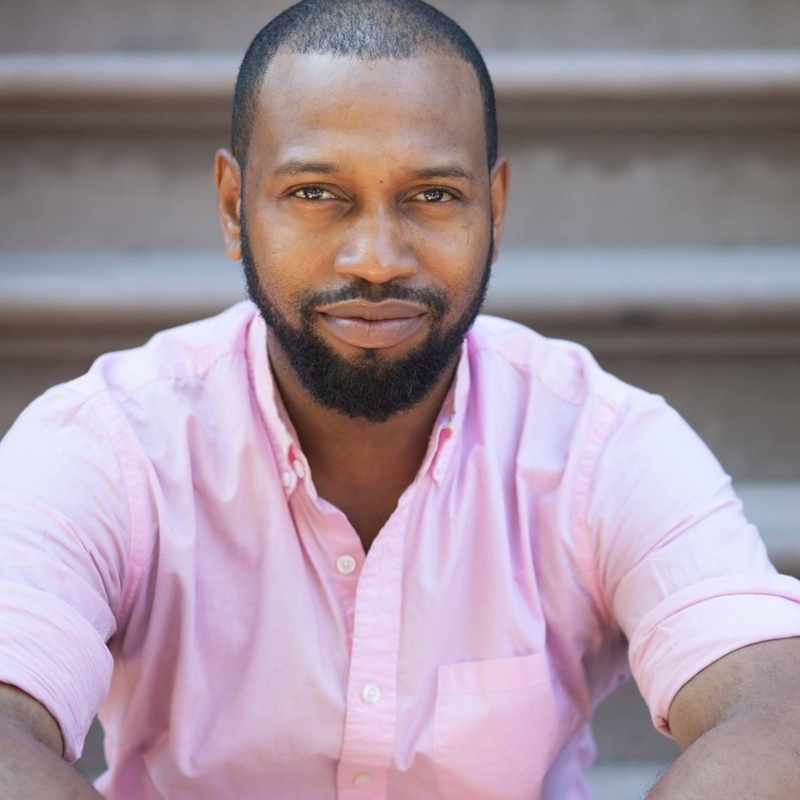 He is the recipient of the Lorraine Hansberry Artistic, Performance, and Fine Arts Award and a two-time winner of the National Arts Club Prize. 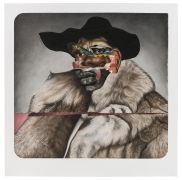 Quinn is included in the public collections of the Art Institute of Chicago, the Sheldon Museum of Art, and the Whitney Museum of American Art, among others. 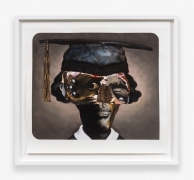 Nathaniel Mary Quinn, a native of Chicago, received his BFA from Wabash College and his MFA from New York University. He currently lives and works in Brooklyn, NY.